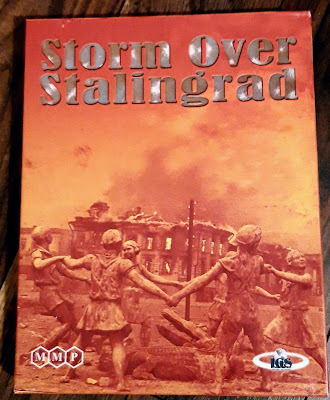 Having recently listened to Antony Beevors audio book "Stalingrad", my interest in this topic was tweaked and I accepted the timely trade offer from Patrick on the geek for "Storm over Stalingrad". This 2008 classic, area impulse game by MMP is streamlined with only seven pages of rules. It uses cards to enable air and artillery support for attacks or the ability to move and attack. The game has been set up and a learner solo session is planned for the weekend. A few staggering and chilling stats on the battle. Historians estimate 1,100,000 Russian military casualties either dead , wounded, missing or captured. In addition an estimated 40,000 Russia civilians were to perish. 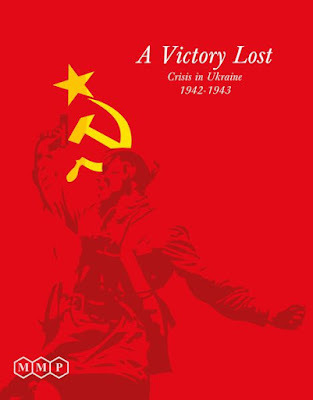 Germany and its allies lost 800,000 during the Stalingrad campaign. This number includes 91,000 capture of which only 5000/6000 survived captivity to return home. Following on from my face to face game of "A Victory Lost" with Al, we have gone online and started playing AVL on vassal, using "Skype" for communication. It will be quite had to return to the physical copy of the game as the vassal implementation is a joy. 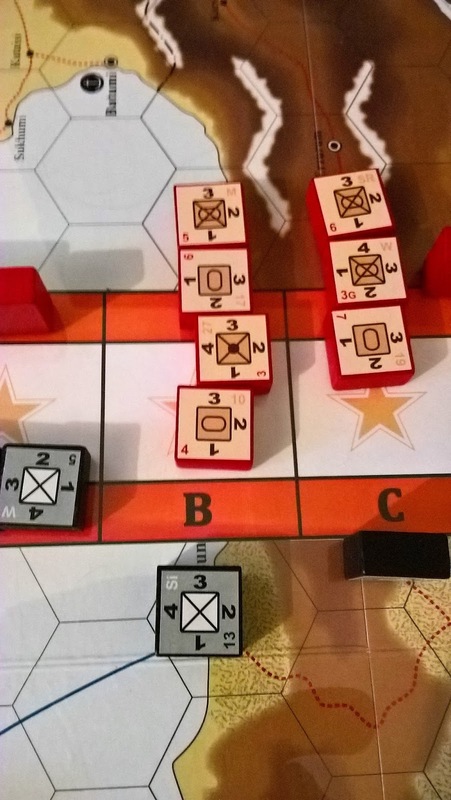 Features such as HQ command range, units automatically marked as moved, reinforcement line identification and in/out of supply shading makes the online version much easier and less awkward to play. So a big thank you to the creative geniuses and designers of the module Brent Easton and Dominik Derwinski. It's been quite a while since I last posted on the blog, a case of blog fad - well almost. I have decided to create some fresh content as the tec savvy, digital age modern kids would say. The game that sparked this mini resurgence, only time will tell whether its a last kick of the old goat or a phoenix like rebirth, is "A Victory Lost". 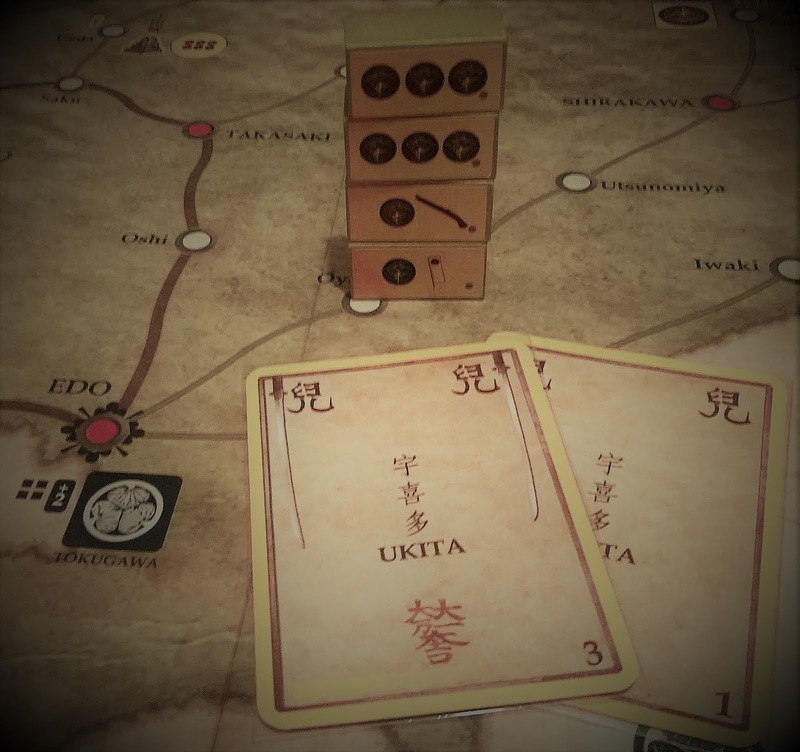 A description from "Board Game Geek" gives the background to the game. "A Victory Lost" is a simulation of the intense mobile fighting between the Axis and Soviet forces in the southwestern USSR, from the completion of the Soviet encirclement in December 1942 to German Field Marshall von Manstein's famous "Backhand Blow" counterattack. The Soviet forces aims to trap and eliminate the Axis forces that are in full retreat from the Caucasus, while the Axis forces must successfully withdraw and attempt to restore the front line by launching a desperate counterattack. The slightest mistake might turn victory into a rout." I acquired this game three years ago and even made an unboxing video for it, a video which the wife teases me mercilessly for, calling me a weirdo for making a video about the contents of a box, the cheek! Shortly afterwards I promptly sold the game as I couldn't see my fellow afflicted grognards buying into this traditional hex and counter wargame and become followers, in the way of the tweezer. Picking up the a fore mentioned item in order to move the counters, as large fingers and thumbs make playing the game almost impossible. Mental note- purchase large medical tweezers on ebay. But I always had a yearning to return to this classic, a bugle call in the deep recess of my mind calling me to return to arms, you will tell me if I am been a tad over dramatic won't you. So last week I repurchased AVL and retired to "Valhalla" the war room, to break it out. Two days later I resurfaced having read the rules and played a couple of solo game, it was wonderful. Well the game was wonderful, the wife's wrath less so! 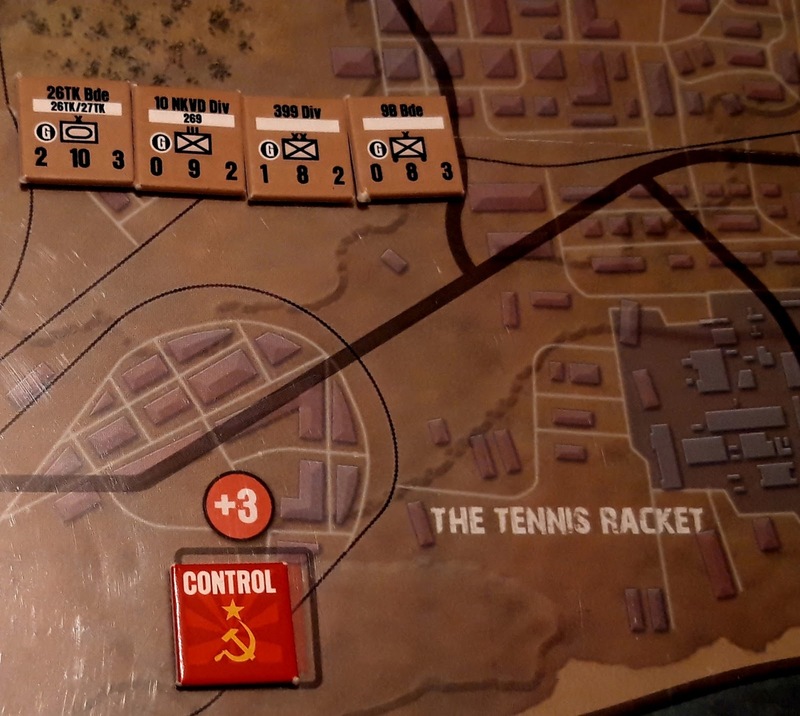 The chit pull mechanism which activates command HQ's was strangely addictive and created a real sense of tension in the game play. The timing of each chit pull and HQ activation can be vital, in either creating breakthrough's for the Russians or plugging gaps in the line if Axis. The rules are simple and elegant and come in at only sixteen pages. While the rules may be simple the tactics and strategy are compelling and engaging. I invited Al, my fellow warrior in crime, over and taught him the basics for a learning game. Thankfully he took to it like a panzer commander to a Tiger (a tank to the uninitiated) as I had hoped he would, despite my concern over the off putting small and fiddly counters. 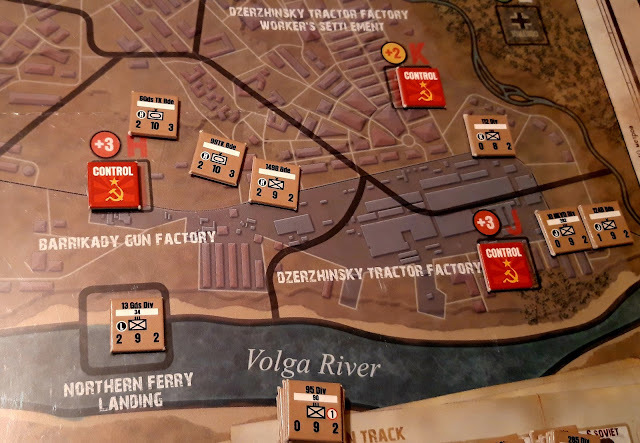 I love when a game leaves behind memorable in game stories, like on this occasion when the German 4th Panzer Army managing to break out of what had became known as the "Kotelnikovo pocket" by securing a vital bridge over the Don as the red hordes were closing in for the kill. Or the Russian armored division holding a vital town and tying down much needed Axis troops and armor for a turn, which were desperately needed elsewhere on the front. All in all a wonderful game which will see much table time in the weeks ahead. Much to Al's relief, as he is tiring of the seemly endless new games having to be learned in recent times. The curse of the shiny, as the Magpie would say or weirdo as the wife would say. NEW YEAR AND ALL THAT. Yes indeed, it's a new year and all that, time for a resolution. The above titles have sat unplayed on my games shelf, I gotta change that. The aim for 2018 is to get them to the table. I will need to get one played every two months, quicker in fact as "Hands in the Sea" kickstarter is due out in May. What a great problem to have. With the completion of our EASTFRONT II campaign Al and I broke out Sekigahara. This is our go to game when we want to get something to the table which requires no prep and can be finished in a sitting. Like ones favourite armchair it is both comfortable and familiar. Like a look over the cliffs edge it is anxiety inducing and dread arousing, with the ever present threat of the loyalty cards. I made a stab to take Osaka during the early stages in an attempt to steal a win early doors. While I was victorious in the battle outside the city Als survivors scarpered to the castle and a siege got me to within one block of victory. All was in vain however and a counter attack by my opponent resulted in a defeat for the rebellion. With over twenty plays this title has proven to be worth ever penny of its cost. 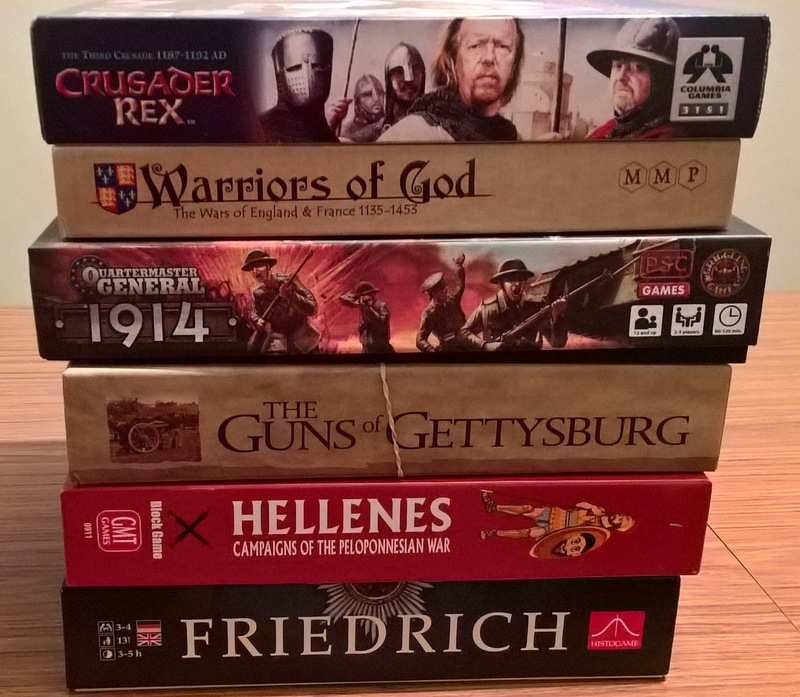 Next up a learning game of either "Warriors of God" or "Friedrich". The backlog of unplayed games sitting on the shelf has to be tackled. Oh the dream job. You mean they actually pay you to play wargames. If only I were a much younger man and fancy free. Job description. The Eastfront II Campaign continues. The rains came early and both sides closed down active operations, using the respite to rest and refit. (The Germans had done just about enough to stay in the campaign but it was a close call.) Spring saw large scale Russian probes launched against army group center. These attacks were uncoordinated and repulsed by well positioned German defenses and rapid counter attacks by fast responding battle groups. The Russians did manage to stem the tide to the South of Moscow defeating German attempts to take Taluva. 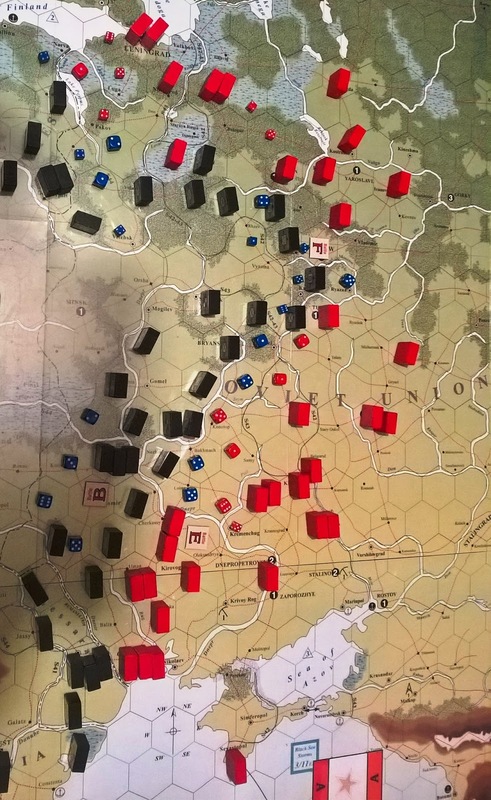 A stalemate had developed in Moscow and the city of Kaluga with only sporadic fighting breaking out, both sides content to hold what they had and not force the issue. The initiative had started to turn in favor of the Reds, the Germans beginning to sense this change made an all out attempt to once more wrestle the initiative back and stay on the front foot. Launching Operation Carthage Army Group North made an all out attack to take Leningrad with elements attacking the marshes surrounding Volkhov to prevent Russian reinforcements from entering the city. A fierce battle developed with the Germans pouring in fresh troops to relieve the battle weary first wave infantry corps who in turn were fed back into what the poor bloody infantry on the ground knew as Klutz's fleischwolf or Klutz's meat grinder in english. 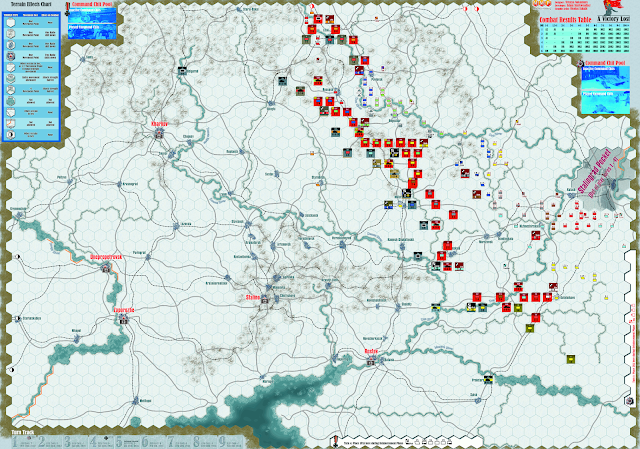 A study of the operation afterwards by analysis estimated German loses at 4-1, the highest in any operation to date. The situation as of 1st September sees the massing of Russians infantry, artillery and tank armies in the center and south. The Russian air force is growing in numbers and influence with much improved attack capabilities. Now High Command must make a decision with regards to the Leningrad front and only one decision seems possible. The cancellation of its operation to take Leningrad and going over to the defensive in the heavily wooded and marshy land to the south and east of the city. Hitler is likely to recalled General Von Klutz to Berlin to have what could well be a frank, open and rather loud interview. Winter is a mere matter of weeks away and the Russian bear is unlikely to have any plans for hibernation. It was now commonly accepted if never spoken by all ranks within the Wehrmacht that the initiative was no longer with Germany on the eastern front. On the wireless Goebbels speech's began to talk of wonder weapons, in the west German troops pour into Italy to take over defenses and have evacuated Sicily. It would appear that it is not only in the east where the initiative has been lost. Our East Front Campaign game continues, it is October 42 and the winter chills are just weeks away. The summer has seen advances for the Germans in the south, with a realignment along the banks of the Dnieper river. The Germans giving up ground for a superior defensive position, Hitler needless to say was not informed. No movement has been made around Moscow with stalemate in the ongoing battles to the south of the capital. With two months to the end of the scenario my Germans forces face a dilemma. There can't be much in the game, it is finely balanced. 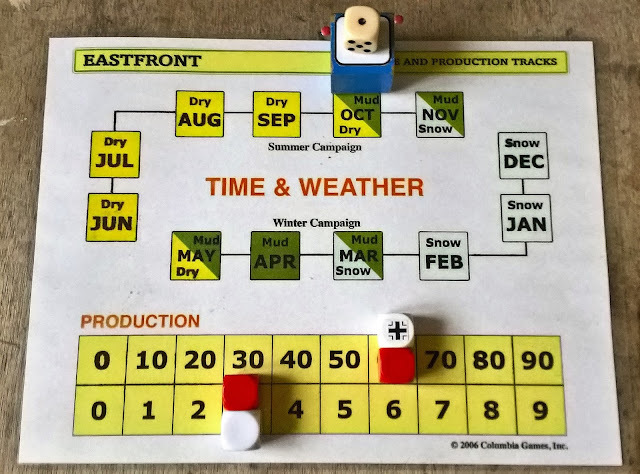 I need a few more victory points to be able to bring the campaign into the next winter scenario. I will have to go on the attack using valuable command and control resources to achieve this. Much needed full strength armor and infantry units will be striped from other sections of the front and committed to this attempt. Having studied the front the attack will go in at an existing battle, location B. According to intelligence reports the Russians have weakened armor, mechanized and shock troops at this location. A blitz attack is planned with air support in the hope of destroying many of the defenders, drawing in other defenders or best case scenario achieving a breakthrough striking at Russian army command and control in rear areas. This attack can only go in if the weather remains dry. Meteorologists predict that their is a 50/50 chance that the rains will come and with it mud, slowing all movement and thus rendering an attack impossible. The conditions will only get worse according to the experts with snow or rain forecast for November. The only window available to allow for the successful coordination and organisation of sufficient forces requirement for this operation is the second week in October. All now depends on the weather and mother nature. Al and I have been biting into EastFront II "Columbia Games" excellent block wargame. 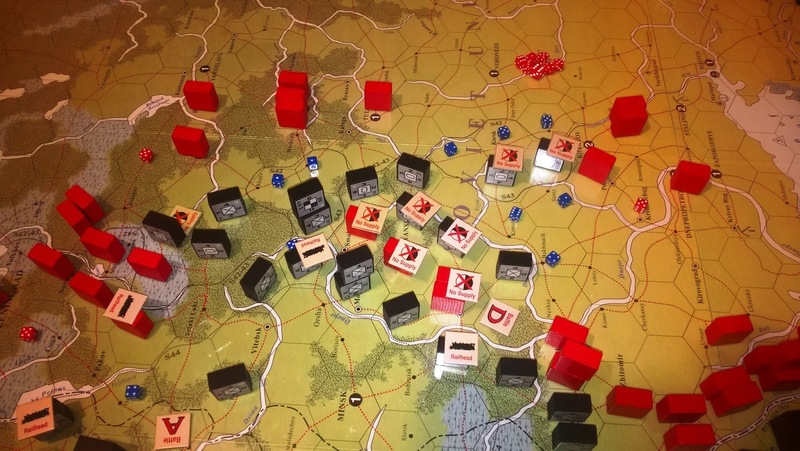 We played the Barbarossa scenario and will continue with Operation Typhoon in the near future. I have been playing the Germans and Al the Reds. Both of us have made many mistakes, Al leaving his HQ's exposed while I have over extended and ran out of supply, but both of us have thoroughly enjoyed the experience with supply and rail lines the key to success in this game. The above photograph shows the situation in September 1941. The German "Army Group Centre" has broken through the Russian lines isolating Russian "Western Military District" armies in what was to become known as the "Gomel Pocket". In attempting to break through and release these trapped troops further Russian units were to become isolated and trapped them selves. However the exhausted Germans having been going full throttle since July have over extended their supply lines and with the on set of winter made limited progress in the next couple of months. The exception a trust for Moscow which resulted in heavy casualties for the German "7th Corp", the decimated units been removed from the city and sent back to German to be rebuilt so heavy were their losses in the vicious house to house fighting. The photograph above shows the situation at the start of December 1941. Hexes with blue dice show German friendly control and red dice those friendly to the Russians. 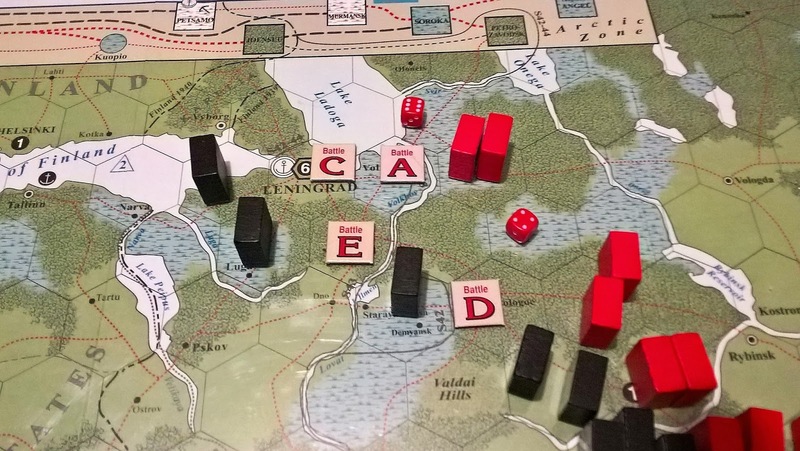 The large letters signify ongoing battles with "F" the battle for Moscow. With Russian command and control having been severely hampered as a result of eliminated HQ's and with the Germans unprepared for the sudden onset of the harsh Russian winter the next few months may see both sides trying to regroup and refit in preparation for the spring thaw. This classic rewards repeated play and we both have committed to a regular hookup. A wonderful game both challenging and unforgiving. Can't wait for the next session. Above is a photograph of a WW1 diagram taken at the Royal Irish Fusilier museum in Armagh. I popped in with my son and nephew, after visiting the planetarium. 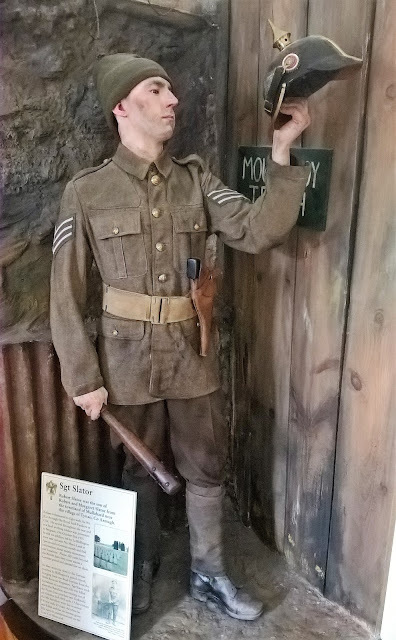 The staff were wonderful and the venue passed an enjoyable hour as we viewed the collection, which contains the uniforms, medals, regalia and the two Victoria Crosses won by the Regiment. 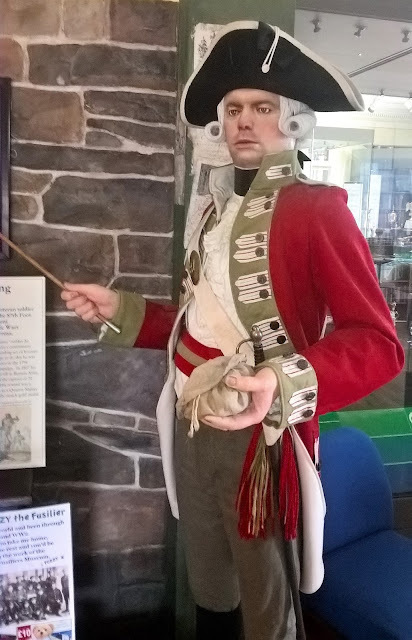 The two kids particularly enjoyed the opportunity to try on some modern day British military gear. 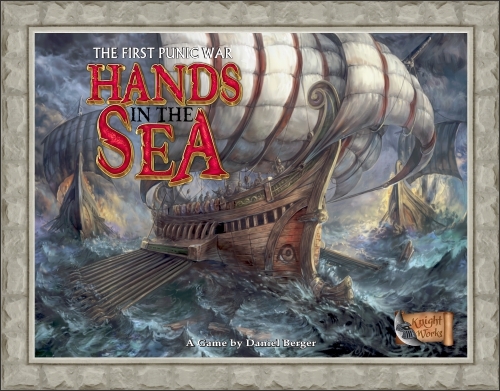 "Hands in the Sea" a game on the first Punic War between Rome and Carthage 264 - 241 BC, by designer Daniel Berger and Knight Works. I have been following this game for quite a while and was very much temped by the first kick starter two years ago. I'm glad I held off as there were a few issue with the game board and cards, these are to be fixed in the second edition which is now live on kick starter. The game has blocks, is card driven and uses hand management. It was inspired by Martin Wallace's "A Few Acres Of Snow". This was another game I had been temped by but lost interest once it became clear that it was broken with the "Halifax Hammer strategy". "Hands in the Sea" has a good reputation and is a solid 8.0 on "Board Game Geeks "ratings. 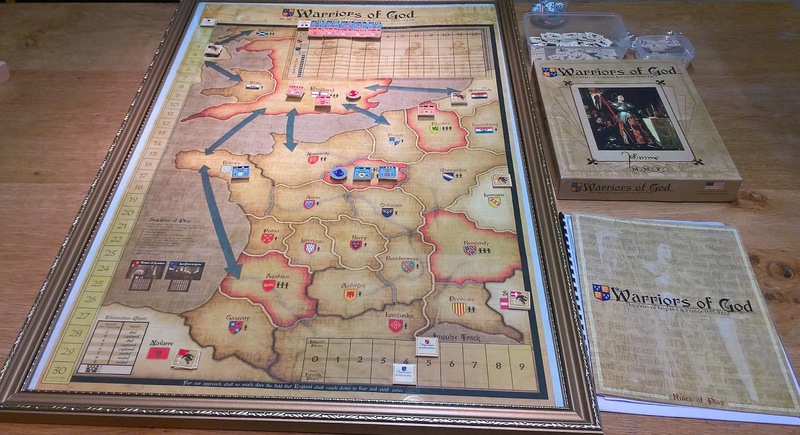 The wooden components look top notch, playing time is a very manageable two hours and the price is reasonable (compared to some off my recent purchases) coming in at under £50, which includes postage. "Hands in the Sea" is the first kick starter I will have backed and very much look forward to its potential arrival next May, hopefully it makes its funding target of £20.000. Check out Judd and the Chiefs review. Q-CON XXIV (2017) - DAY THREE. Final installment of the Q-Con XXIV (2017) adventure. A session report on "Fields of Despair: France 1914 - 1918. Q-CON XXIV - DAY TWO. Q-Con XXIV Day Two. The further adventures of "The Dice is Cast" at Q-Con 2017. Load the cannons, to the front quick march. "The Die is Cast" adventures at Q-Con 2017. Subscribe to:The Die is Cast. 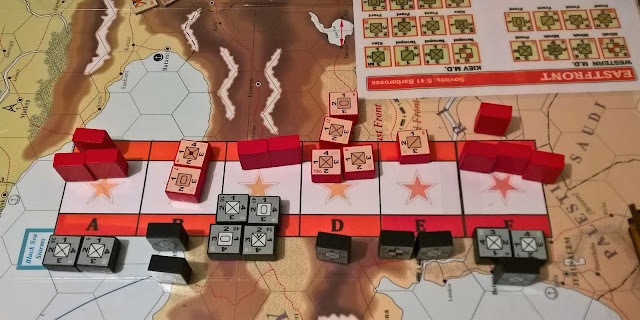 COMMANDS & COLORS ANCIENTS CAMPAIGN - TICINCUS RIVER . A SPOT OF D I Y.
BLEEP, BLEEP, BLEEP - ON THE RADAR.